It’s not easy to start writing ES6. You need to set up Babel and webpack before you start coding. But what is Babel really? 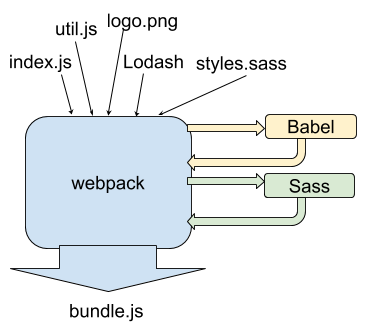 And what is the difference between Babel and webpack? And why do we need all this just to write ES6? Let’s take one step back and look at why we need all these tools to be able to write ES6. Why is ES6 so complicated? When new features have been standardized, then browsers slowly start to adopt the new features. Browsers have different release cycle and prioritizations. That’s why we always are in a situation where some of the major browsers support new features of ES6, and some don’t. When new versions of browsers are released, not all users immediately upgrade, because not all users care about having the latest software running on their machines. What this all means is that some of your users will support newer features of ES6 you want to use, but some don’t. 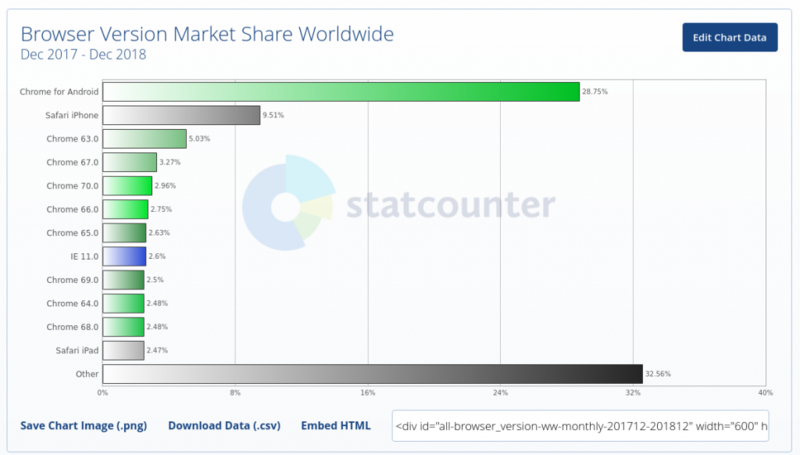 Let’s look at some stats - what browsers are people using? Let’s look at some worldwide browser statistics to see what people use overall right now. What we note here is that people use a wide variation of Chrome versions. And a quite high percentage is still on IE 11. These stats are worldwide usage, you can check in Google Analytics what your users are using. Let’s look at ES6 Template Strings. As you can see, most of the newer version of browsers support it (green boxes). But IE11 doesn’t support it (red box). And we saw earlier that 2% are still on IE11. So how can we support old browsers like IE11 that people are still using - and at the same time use the newest ES6 features in our code base? 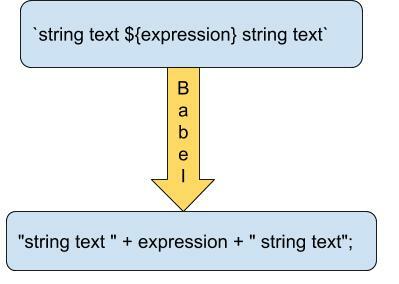 If you want to check out how ES6 transpile code you can try this online Babel tool https://babeljs.io/repl/. This online tool is mainly for learning and experimenting. If you want to use Babel in a real project you can run it from the command line. Then add a file called .babelrc file to your project. This is the configuration file for Babel, and we will use it to tell babel to transpile ES6. Most non-trivial web apps also require a build system, such as webpack. With webpack, you can configure how different types of files should be transpiled. You configure rules like this. Then webpack goes through all files in your project and transpile files according to the rules you have set up. Then webpack spits out a highly optimized bundle that you can include in your HTML. I have two awesome resources for you to get started with webpack and Babel. You can create a fully working webpack project that you can download and run on your machine. If you are the type of person who wants a step-by-step tutorial I have a free email course for you. This is a 5 step email course where you start by learning what webpack is and what it’s used for, then you’ll set up the most simple webpack project possible. Then you’ll expand that project with Babel, React and SASS. At the last day, you will have a web app that is ready to deploy to production. Get started today by signing up below. It's time to learn webpack properly. 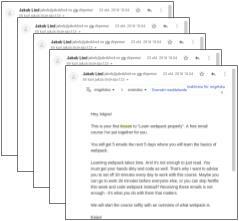 You get 5 emails in 5 days.